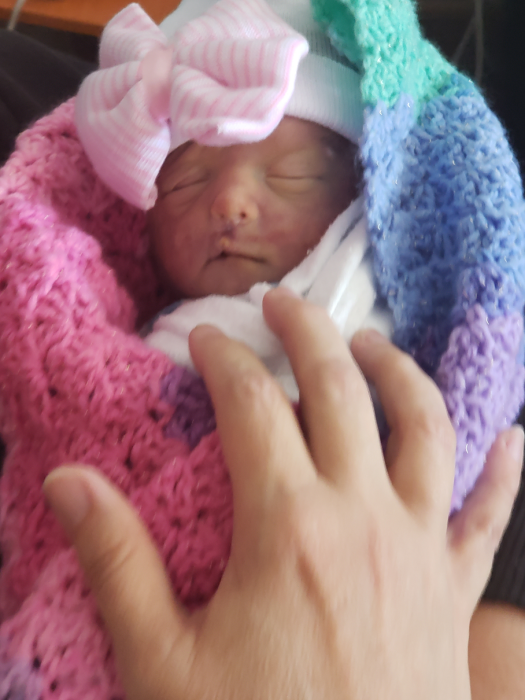 Aubrey Renee Thomas was born on Thursday March 21, 2019 and took her wings on Friday March 22, 2019. She was born in Cumberland County, North Carolina, the daughter of Aaryn Michael and Ashley Fulton Thomas. In addition to her parents she is survived by her sister, Mia Thomas; fraternal grandparents, Angela and James Wright of Snohomish, Washington and maternal grandmother, Denise Fulton of Hope Mills, NC. A Funeral Service will be held Wednesday March 27, 2019 at 2:00 pm at McNeill Mackie Funeral Home of St. Pauls with a visitation scheduled for one hour prior to the service, from 1:00-2:00 pm. Arrangements by McNeill Mackie Funeral Home of St. Pauls.